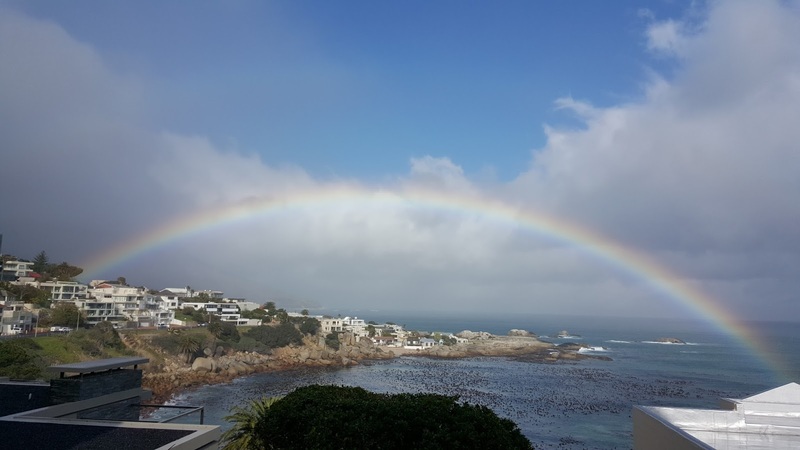 Clouds and rain and sun - this morning a beautiful rainbow spanned right across Bakoven Bay. 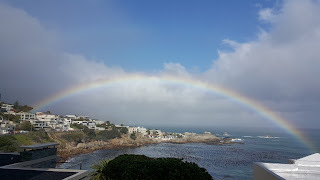 Later another rainbow appeared at the foot of the mountain - very unsual but we were too late to capture it! We don't need Photoshop - except to touch up your Dad!